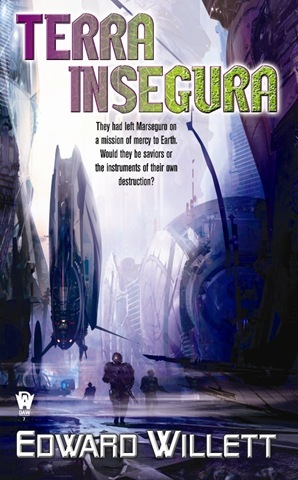 Just a quick note to announce the winners of the Futurismic-readers-only draw for copies of my science fiction novels Terra Insegura (just released) and its prequel, Marseguro, both published by DAW Books. 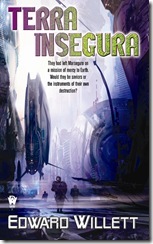 The signed copy of Terra Insegura goes to Mac Tonnies of Kansas City, Missouri, while the copy of Marseguro was won by Kian Momtahan of Bristol, U.K. If you missed out on the Futurismic draw and would like a chance to win the books for yourself, I’m doing two more weeks of draws open to anyone. 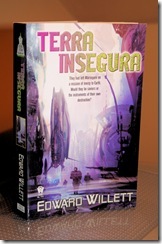 If you’d like to enter, just send me an email at edward(at)edwardwillett.com with the subject line Terra Insegura. Congratulations to the winners, and thanks to everyone who took part. 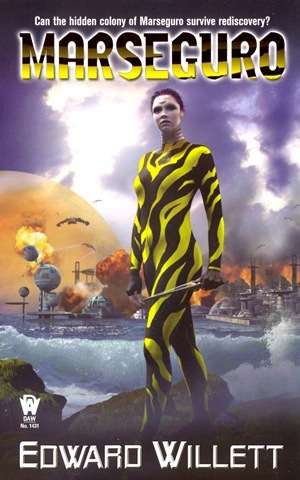 I’d like to interrupt our regular Futurismic programming to announce that my new science fiction novel Marseguro is now out from DAW Books and available from fine (and probably even some not-so-fine) bookstores everywhere, with a fabulous cover by Steve Stone. Not only that, I’m giving it away! 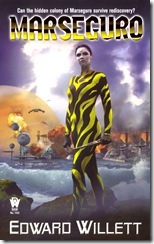 Now, the contest: I’m giving away signed copies of the book this month to mark its release, and I’ve set aside one just for Futurismic readers. If you’d like to put your name in the hat for the draw, please send me an email at edward(at)edwardwillett.com, and mention Futurismic in the subject or body. This contest will remain open until February 17; I’ll make the draw February 18. 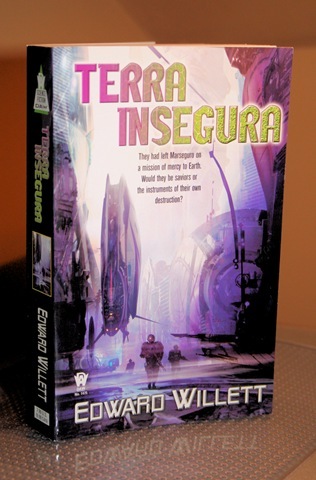 Of course, you’re also welcome to enter the non-Futurismic version of the contest, in which I’m giving away one book a week. You can find details on my blog, here. I now return you to normal posting.